As far as computers go, Chromebooks are almost shockingly low-maintenance. 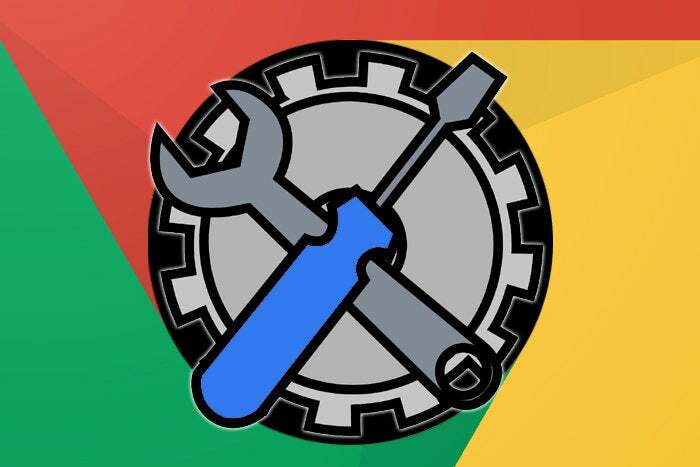 Google's Chrome OS operating system updates itself silently and automatically — as do most of the core apps associated with the platform — and it doesn't get gunked up and slowed down over time, as traditional operating systems tend to do. There's no antivirus software to fret over, either, and little in the way of complicated settings or compatibility concerns. By and large, things "just work" — like, for real. But hey, you're a proactive person. You like knowing your tech is always in tip-top shape. Plus, you have impeccable tastes in tech-related reading material (clearly). So let me share a little secret with you: Despite Chrome OS's minimal-upkeep nature, there are some things you can do to clean up your Chromebook, clear out its clutter, and keep it primed for optimal productivity (and/or procrastination — equally important, as far as I'm concerned). And they don't take long at all to power through. Take a few minutes now to go through these steps, then rest easy all year knowing your Chromebook is running at its best and ready to handle whatever tasks (and maybe even soft objects) you throw its way. If there's one factor that can slow a Chromebook down — not to mention open the door to unnecessary data sharing — it's having the system overloaded with apps and extensions you don't actually need. Such programs have the potential to run in the background, eating up system resources, and also to bog down the actual loading of web pages (when it comes to extensions associated with the browser itself). Beyond that, unneeded apps waste precious space in your device's local storage and clutter things up visually, making it tougher to find the stuff you actually use on a regular basis. That's why assessing your app and extension situation once a year can go a long way in keeping your Chromebook cleaned up and ready to provide its best possible experience, without any asterisks attached. Start by opening a new browser tab and typing chrome://extensions into the address bar. Look at every item on that page and think carefully about whether you really, truly still need it and how much value it adds to your life. For any items that no longer seem relevant, click the "Remove" button and send 'em a-packin'. If you aren't 100% sure whether something is worth keeping or not, try this: Uncheck the blue toggle in the bottom-right corner of its card. That'll deactivate it but leave it present, almost like a shell, with all of your preferences and history still intact. That way, you can go a day or two without it and see if you miss it or even notice its absence. If you don't, go back and remove it entirely. If you do, go back and reactivate its toggle — no harm done. Chrome OS isn't just about web apps anymore; these days, Chromebooks are capable of running both Android apps and Linux apps as well as the regular ol' web-centric items. If you've taken advantage of either of those possibilities, do the same thing we did in our last step and pore over your collection to see apps which you still use and which oughta be removed. Start by looking in your Chromebook's launcher — the "All Apps"-style drawer that comes up when you swipe up twice from the bottom of your screen or click the circle icon in the lower-left corner and then click the arrow in the partial drawer that appears. For any Android apps you're no longer using, right-click or long-press 'em and select "Uninstall" from the menu that appears. Chant a little incantation for good measure and then move on with your newly lightened (and maybe also enlightened) life. For Linux apps, as with all things Linux, the situation is a teensy bit more complicated: As of now, at least, you can't uninstall a Linux app within the launcher or any other part of the regular Chrome OS interface. Instead, you'll have to open up the Terminal app and then type in sudo apt-get remove followed by the app's package name (the same thing you typed in when you initially installed the program). Got all that? Good. Now, for any Android or Linux apps you do want to keep, make sure they're up to date — because unlike regular Chrome apps, these programs don't always do that automatically. The Android half is easy: Just open up the Play Store, the same way you would on your phone, and look for the "My apps & games" option in its main menu. Then follow the prompts on screen to download and apply any pending updates. Linux apps are again a little less user-friendly: You'll have to go back into that Terminal app and type sudo apt-get update && sudo apt-get upgrade into the prompt (totally intuitive, right?!). That'll seek out and apply any available updates for any Linux programs you have installed. Chrome OS is full of hidden shortcuts and time-saving possibilities — including some super-useful things that require just a few minutes of your time to set up once or revisit so they'll work to your greatest advantage. First up is the system tray — that dock-like bar of shortcuts at the bottom of your screen. Take a moment to make sure the apps or processes you open most often are in that area; if they aren't, drag 'em out of the launcher and put 'em in place. And remember: The tray doesn't have to be limited only to formal apps. You can also add in shortcuts to a commonly accessed website (be it something like Gmail or Google Drive or even your company's internal content management system) by opening the site in a regular browser tab, clicking the three-dot menu icon in the upper-right corner, and selecting "More tools" followed by "Create shortcut." Now, the part most relevant to our purposes: Keep in mind that you can open each item in that list from anywhere in your system by pressing Alt and then the number key corresponding with its position. Pretty handy, eh? Next, save yourself even more valuable seconds by setting up on-demand shortcuts for your favorite web-based search functions. You can do that for most any site with a search option, whether it's Google Images, Twitter, or Thesaurus.com. Here's the trick: Go to the website in question and perform a search — then copy the URL that ends up in your address bar with the results. With Thesaurus.com, for instance, if you search the site for "fish," you'll be taken to https://www.thesaurus.com/browse/fish. Now type chrome://settings/searchEngines into your address bar to pull up Chrome's custom search engine settings. Click the "Add" button, type in the search engine name (like "Thesaurus"), assign it to whatever keyword you want (like "th"), and then paste that URL from a moment ago into the URL field — only take out the actual search term and replace it with %s. So in our Thesaurus.com example, you'd end up with https://www.thesaurus.com/browse/%s. Once that's done, you can simply type your keyword into Chrome's address bar, hit Tab, and then type in whatever term you want to search for — and as soon as you hit enter, you'll be taken directly to the associated site's results page for that term. I use this constantly, for all sorts of purposes. Finally, if you have certain words or phrases you find yourself typing over and over — addresses, phone numbers, recipes for baba ganoush, and so on — consider setting up a Chrome-OS-friendly text replacement tool. That will let you create custom keyboard shortcuts for all your favorite phrases and can save your stunning fingies from so much needless pecking. Everything you need to get started is right here. It's easy to get spoiled with the effectiveness of voice input on your phone — so why not bring that same speaking power to your Chromebook? Yes, indeedly: Chrome OS has a little-known option for system-wide dictation, and it works whether you're using your device as a laptop or in a tablet-like state. All you've gotta do is enable it: Open up your Chromebook's settings, scroll all the way down to the bottom, and tap "Advanced." Scroll down more until you see the "Accessibility" header, then tap the "Manage accessibility features" option. Next, activate the toggle next to "Enable dictation (speak to type)." And that's it: You'll now see a small microphone icon in the lower-right corner of your screen, right next to the notification panel. Tap it anywhere, anytime, and start talking, and your words will show up on your screen — in whatever field you have focused, no matter what app or process you're using. Chromebooks don't tend to have a ton of local space, so take a minute to open your device's Files app and clear out any clutter you no longer need. So here's the plan: Head back into your Chromebook's settings, select "Advanced," then find the line labeled "Location" under the "Downloads" header. Click "Change" and select a folder (or make a new folder specifically for downloads) within your Google Drive storage. Easy, right? There's nothing more to it: Anything you download on your Chromebook will be saved to Drive and available anywhere else you sign in from this moment forward. Last but not least, a quick bit of tune-up that'll take some of the strain off your peepers so you can better focus — on Very Important work documents, Very Important Winger videos, or whatever other Very Important content you might be viewing. A relatively recent update to Chrome OS added an incredibly beneficial Android-born visibility feature, y'see, and it's well worth your while to enable. It's called Night Light, and it adjusts the temperature of your device's display to make it less bright-white and glary in the evening hours (or any other time you find yourself in dimly lit conditions). It's so impossibly sensible, you'll wonder how you ever lived without it. Just open up those trusty ol' settings once more, and this time navigate to "Displays" (under the "Device" header) and look for the "Night Light" section at the bottom of that screen. There, you can set an automatic schedule for when the Night Light mode should turn itself on — based on specific times of day or even on when the sun sets and rises. Your eyes will thank you. And with that, my dear comrade, your Chrome OS tune-up is complete. So what now? Well, goodness gracious, you've got no shortage of enticing options. If you're still hungering for more fresh Chromebook knowledge, check out my massive collection of advanced Chrome OS tips. Or if you haven't yet tackled your annual Android phone tune-up, by golly, get to it. Otherwise, sit back, relax, and enjoy your newly polished and optimized Chrome OS device. And go grab yourself a cookie, too, why don't ya? You deserve it.